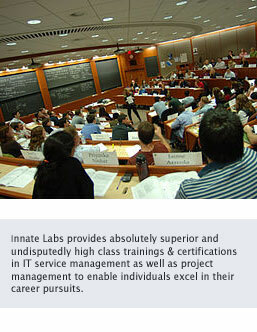 Partnership with Innatelabs will lead to you realize your true business potential through strong collaboration helping you tap markets to have increased sales, diversified product portfolio & extended delivery capability enabling long-term growth in the training industry. The unique partner program will not only pitch you as a strategic Innate Labs Partner giving you strong presence, but will also give several benefits including latest IT trainig programs, marketing & advertising campaigns, specialized content expertise and greater sales support, helping you achieve your business goals. The program is designed to enable your business achieve accelerated growth through higher profitability, extensive competitive advantage & successful positioning of your company in the top league. The program has enhanced focus on creating value for our partners through additional incentives, innovative opportunities & competency building through corroboration.